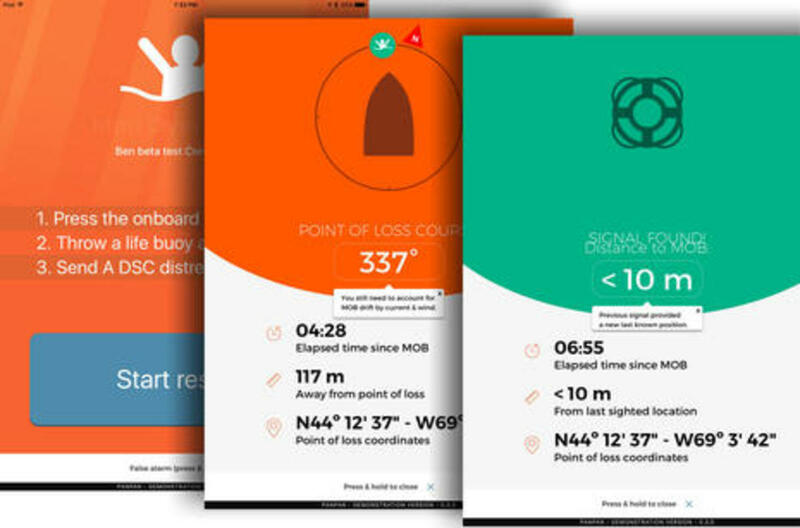 Does it make sense to use smartphones and tablets for a man overboard alarm and recovery system? I can testify that the first reaction of Sail magazine&apos;s Pittman Innovation Award judges was skepticism. 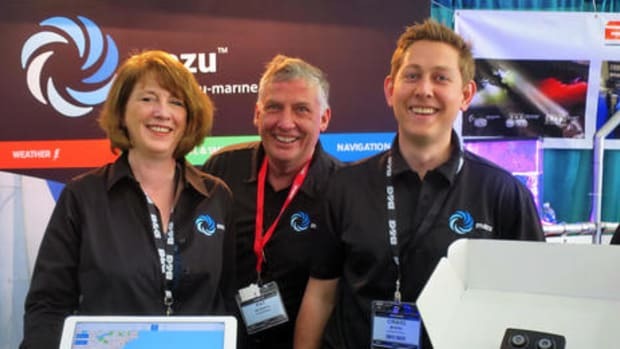 Nonetheless we found PanPan&apos;s CrewWatcher so well thought out and potentially so useful that we gave it an award in the safety category, and then an independent second set of judges picked it for the Overall Winner. And truth be told, the finished CrewWatcher personal beacons and apps don&apos;t actually exist yet! "Everyone&apos;s OK" -- or to be more specific, "everyone is still on the boat" -- is one hell of a nice thing to know when you&apos;re underway, especially in the dark or when it&apos;s rough, or both. In many situations if you don&apos;t learn that a person has gone overboard quite quickly, he or she is going to die, possibly not quickly. I worry about this, even though I&apos;ve yet to experience either side of a person overboard situation (like the extra scary one above). So I not only appreciate the evolution of personal MOB beacons, I particularly like the type that can regularly reassure me that they&apos;re working. The PanPan CrewWatcher is just such an active MOB system, also termed "alarm on failure" when I tested Raymarine&apos;s LifeTag a decade ago (more here). 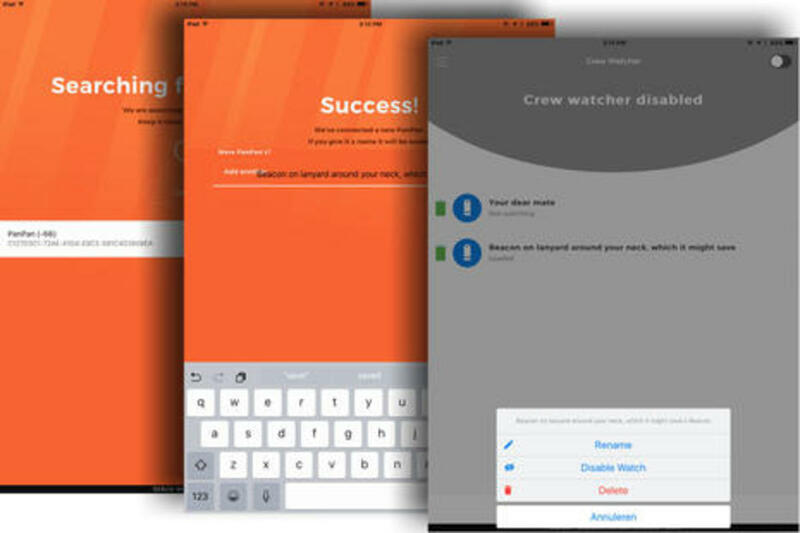 If set to Watch mode, the orange CrewWatcher beacons communicate every second over Bluetooth 4 with whichever Apple iOS or Android device you&apos;re using the CrewWatcher app on. In fact, the Bluetooth signal strength icons animate reassuringly, as I tried to indicate with the inset above, and the beacon icons even wiggle when the actual beacons pass within a few feet of the phone or tablet. 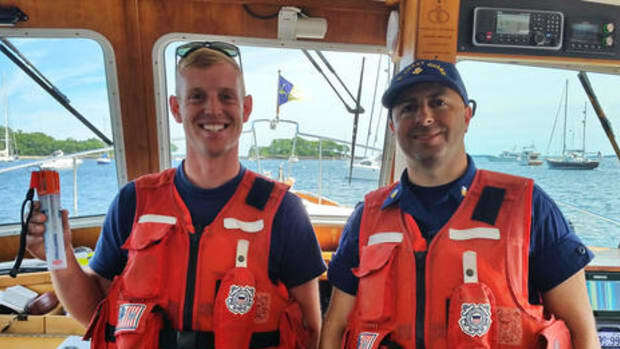 While you certainly don&apos;t have to be looking at the app to know when a beacon&apos;s connection fails, or if one goes in the water -- escalating siren sounds, spoken "Man Overboard!" audibles, and strobing camera flashes take care of that quite well -- it is comforting to have a lively screen indicating that everyone is OK. If you read the full 2017 Pittman Innovation Awards report, you&apos;ll see that the Overall Winner judges were especially impressed with the CrewWatcher&apos;s ease of use, to which I can attest. The small orange beacons don&apos;t have a switch or even battery access. You just install the app, tap the "Add a PanPan" button, and almost immediately you&apos;ll be able to custom name a beacon with about as much detail as you&apos;d like. 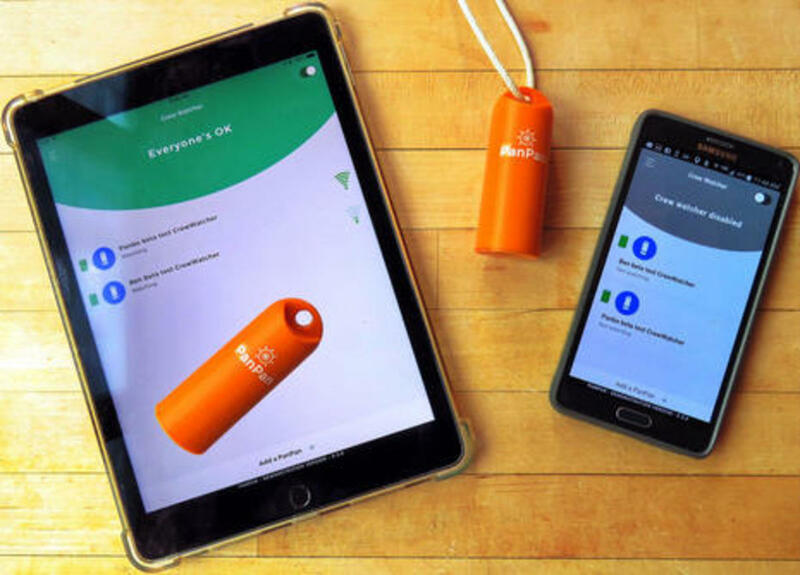 In fact, judging from the images on PanPan&apos;s site -- my beta apps don&apos;t have the feature yet -- you&apos;ll be able to add a photo of the person who will actually wear the 1.7-ounce beacon around their neck or carry it in their pocket. As shown, it&apos;s also easy to rename a beacon, or disable one when you just want to keep a watch on others. 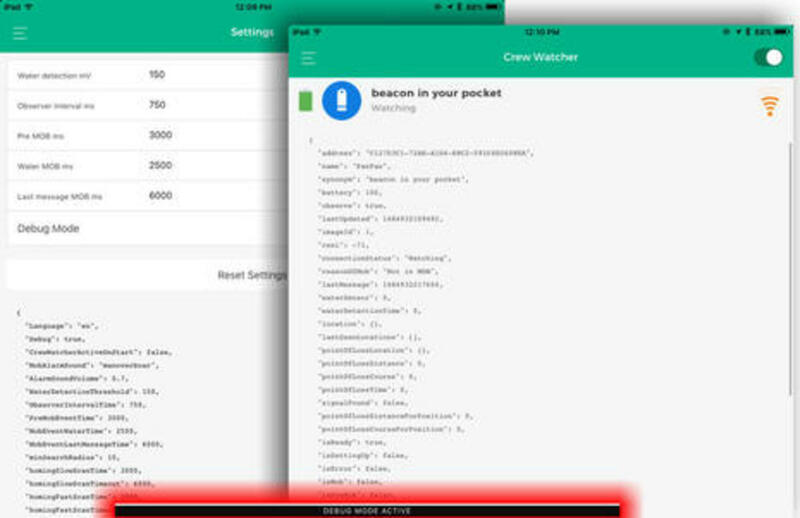 The prime enabling technology behind CrewWatcher is Bluetooth 4, also known as Bluetooth Smart or Bluetooth Low Energy. It&apos;s why the beacon can be switchless even without a replaceable battery and still claim a three year lifetime of "normal use." 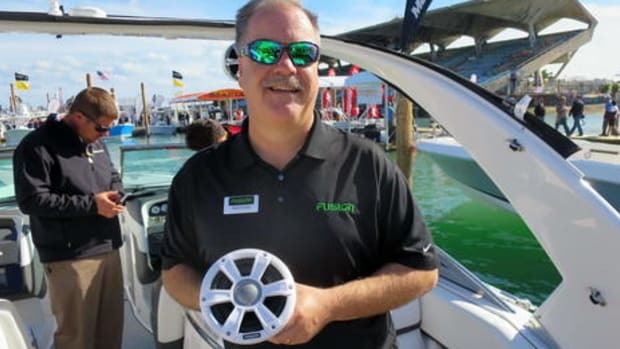 And while PanPan has not yet devised a beacon replacement program, I&apos;ve seen a detailed battery life spreadsheet that suggests a much longer real lifetime for most boaters (and that will also be available on PanPan&apos;s site soon). But when I began discussing the CrewWatcher with PanPan founder Jason Schot last November, I was impressed with how much thought his team was giving to false alarms. 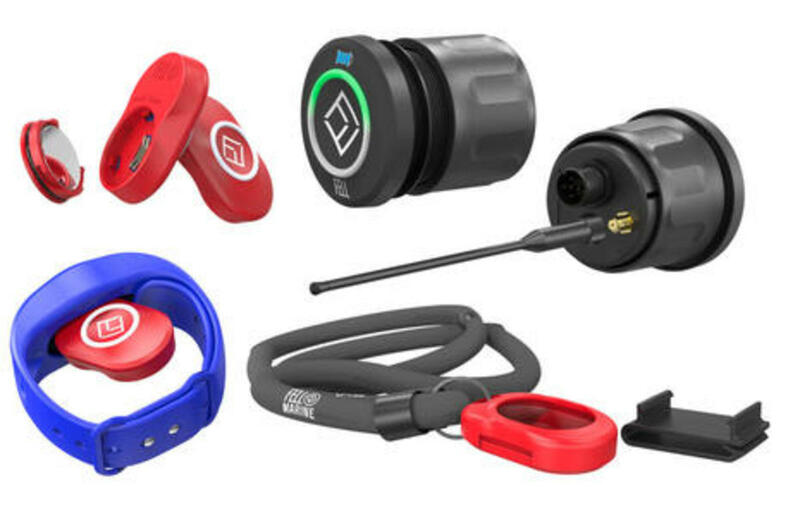 Bluetooth may claim ranges "up to" 100 or even 200 meters, but that&apos;s line-of-sight in an ideal environment quite unlike the tangle of blocking objects and electromagnetic interference that is a typical boat. And too many false alarms can be the ruin of otherwise valuable safety devices. There&apos;s also a fundamental contradiction to an active wireless MOB system like CrewWatcher. 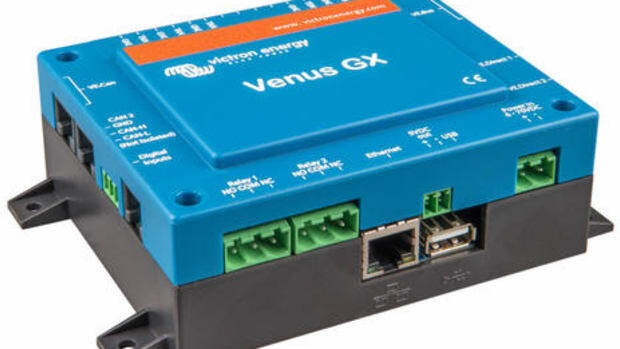 You want maximum range for minimum false alarms, but you also want a real alarm process to start as soon as possible, especially in cold waters and especially with a system like this that can only capture the "point of loss" position (because the beacon does not have its own GPS, and will be out of touch anyway). Besides the many timing subtleties suggested in the beta Settings and debug screens shown above (which real owners will never see), the PanPan team has come up with three significant ways to deal with these issues. First of all, the CrewWatcher beacon has a water detection sensor, and even the prototypes I&apos;ve been testing are good at distinguishing the real thing from dampness and spray. 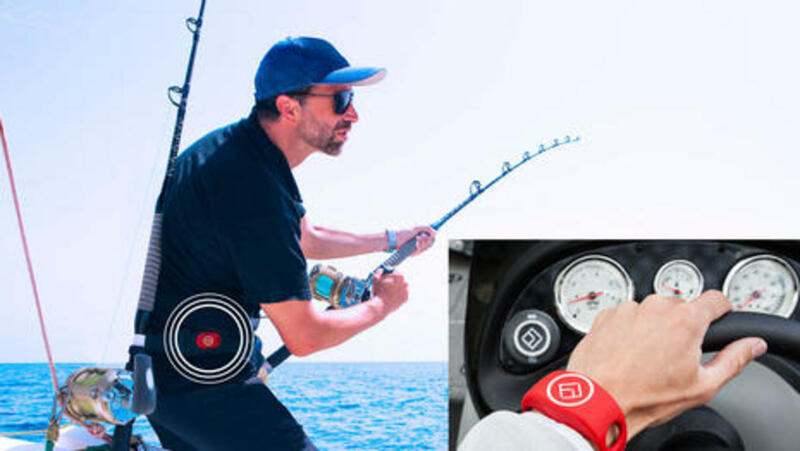 Water detection triggers the MOB alarm routine when the Bluetooth connection is still active, and imagine how much you might appreciate that feature if you were being dragged off the stern by your tether. 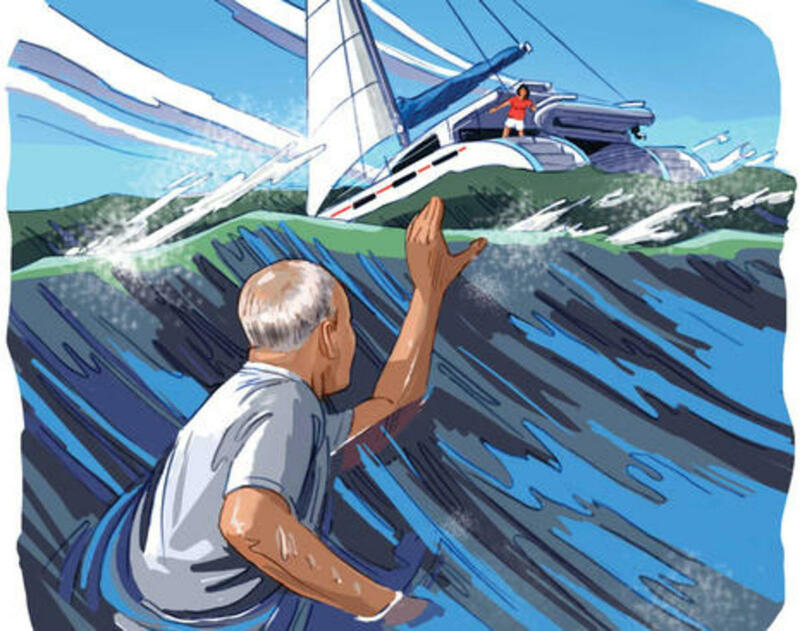 A think-outside-the-box friend even theorizes that he could use a CrewWatcher beacon as a high bilge water alarm on his own boat or when he&apos;s crewing (see Roger Taylor&apos;s wonderful Elements of Seamanship for advice on how to politely check the bilges of any boat you leave a dock aboard). Moreover, by the time the CrewWatcher beacons ship, hopefully in March, the system will purportedly offer "meshing" -- meaning that all watched beacons and app-running phones/tablets will form a network that allows the Bluetooth signal to find alternate paths throughout. 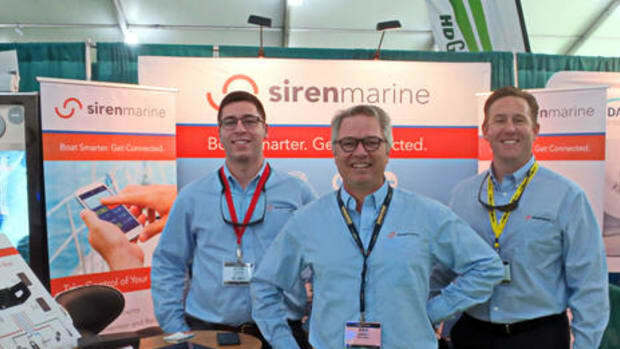 Also in development is a choice of Bluetooth power levels, so a crew will be able to adjust the system to get maximum response with minimum false alarms for a boat&apos;s particular size and composition (steel and aluminum boats will need more power and/or more populous beacon/app networks). 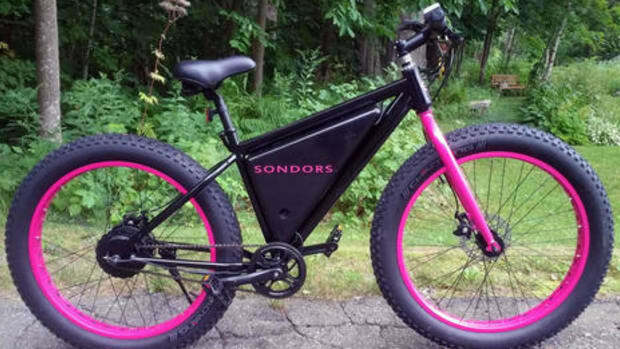 And if you can use low power modes, according to the battery spreadsheet even heavy use shouldn&apos;t flatten the battery thoughout its own nine-year lifetime. Meanwhile, I actually took one PanPan beacon along with my iPad and granddaughter to a large demonstration on Saturday, though it turned she&apos;s so smart she didn&apos;t want to forge deep into the crowd. So, beyond-the-box readers, how else could the completely portable CrewWatcher be used? CrewWatcher&apos;s already mentioned audible and flash MOB alarms are impressive (and work at full volume regardless of the device&apos;s volume setting), and so are the screens that help guide a recovery. While I&apos;ve yet to try it underway -- I hope to soon, and it&apos;s great that all owners can do extensive testing easily and often -- walking simulations along my boatyard&apos;s docks were promising. But obviously what I&apos;ve been testing so far is not exactly the promised CrewWatcher system that is now available to pre-order and that is deservedly getting publicity, and that&apos;s a little vexing. Normally when I get to beta test a product, it&apos;s mainly useful so I can write better about it when it&apos;s announced. I don&apos;t usually discuss beta bugs because they&apos;ve been fixed. In this case, however, I must tell you that CrewWatcher does not work properly with my Samsung Note 4 phone running Android 6.0.1. Actually, it can pair with the beacons and appear to watch them, but neither signal loss nor water detection triggers the alarm, which is worse than not working at all (and just one reason that user testing is important). Let&apos;s call it the Bad Elf phenomenon (sorry, Elf). 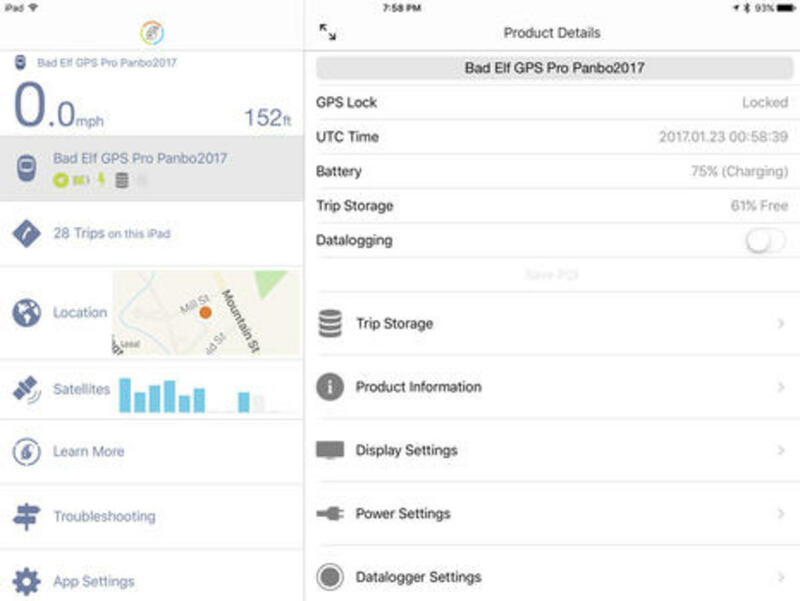 I enthusiastically reviewed the Bad Elf Pro Bluetooth iPad GPS in 2012, and I know that many users also came to think of it as an excellent and reliable alternative to the extra cost of an iPad with an internal GPS. Its receiver is much better, it&apos;s much more informative, and it can also log detailed track information, even stand alone. Plus, I&apos;m happy to report that the sample unit was still working fine when I fired it up for CrewWatcher testing, and, in fact, the product has gotten better. The Bad Elf app offers a lot more features, and it also easily updated the hardware&apos;s firmware so the Pro can now simultaneously send its data to some Android devices (though not, ahem, my Note 4). Regular improvement is what we can cheerfully expect from a well-designed and supported Bluetooth smart device, and I&apos;m quite confident that PanPan is like Bad Elf in that regard. But there was a period when this smart BT product suddenly could not communicate with smart mobiles at all. 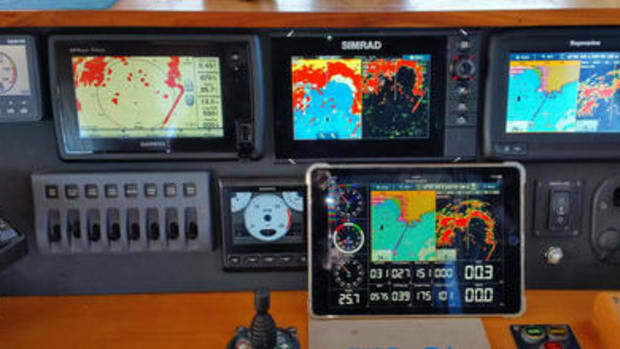 If you were a skipper who depended on the Elf for your navigation app, and you let your iPad update to iOS 8.3 last April, you lost GPS until 8.4 came out in late June, despite what I imagine were some pretty heated communications to Apple from the Bad Elf crew and other manufacturers of Bluetooth GPS products. 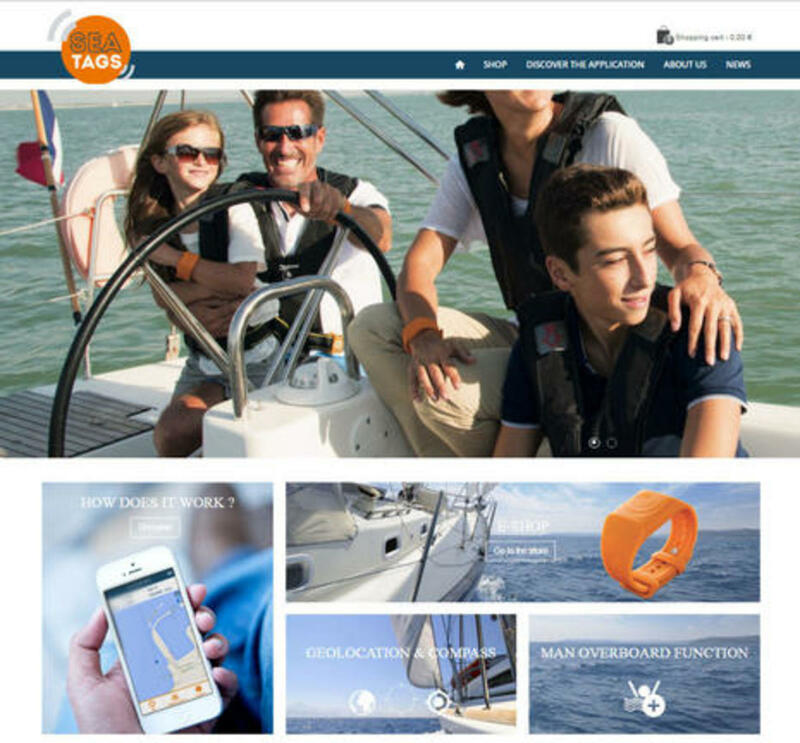 Companies like Apple, Google and Samsung can barely see down to boaters or boating developers over their very large bellies. This is not the only problem Bad Elf has suffered with new iOS versions and they&apos;ve documented them well as part of their prophylactic "Cleared to Update Program." So, while I intend to continue testing the CrewWatcher beacon and app system up to and beyond its ship date with high expectations, we should all realize that a wrench could be dropped into the works by any "smart" device update and it might not get fixed quickly. Oddly enough, there is another Bluetooth 4 MOB system that&apos;s available for pre-order, though I can only report what&apos;s on the Sea-Tags website. I do not see any mention of water detection, let alone meshing or BT power level control, but some may like the watchband form factor, and at first I found the mapping in the app attractive. But when asked, Jason Schot pointed out that mapping is usually irrelevant at the scale of MOB situations, and I think he&apos;s right. The Sea-Tags app can be configured to text an emergency contact but I have a hard time picturing how that would be helpful. 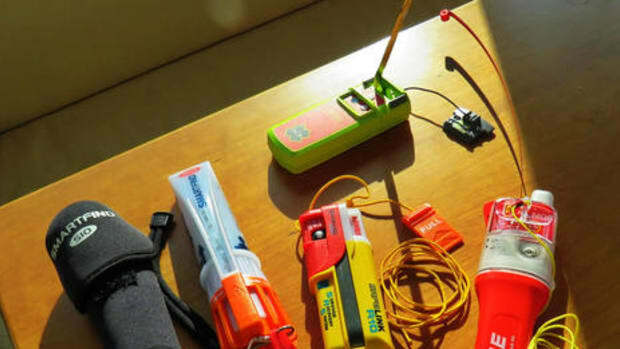 If you are a single-hander, for instance, going overboard is a different and even more serious problem than what I&apos;ve been discussing, and the more appropriate device to have with you is a Personal Locator Beacon, an AIS MOB beacon, a handheld DSC VHF radio, or ALL of the above (and a gumby suit). I have not seen a Fell Marine MOB+ system in the flesh either, but I detect the sort of thoroughness and design smarts I&apos;m finding with CrewWatcher. Note, for instance, how a single pocket beacon can also be used with an optional wristband, floating lanyard, or belt clip. Also, note that the MOB+ is quite different from CrewWatcher, being a wireless engine kill switch meant for smaller boats and tenders. I guess you&apos;d have to say it&apos;s not "smart" either -- as apps, phones, and Bluetooth aren&apos;t involved -- but don&apos;t they also say that there are many forms of intelligence? Check out Fell&apos;s MOB+ install video, for instance; I not only see numerous impressive hardware details, but also a clear and informative animation style that other electronics manufacturers might be wise to emulate. That&apos;s the Fell MOB+ in action above, and last, but not at all least, is a look at what I hope to test next, and sometimes next to the much less expensive CrewWatcher. 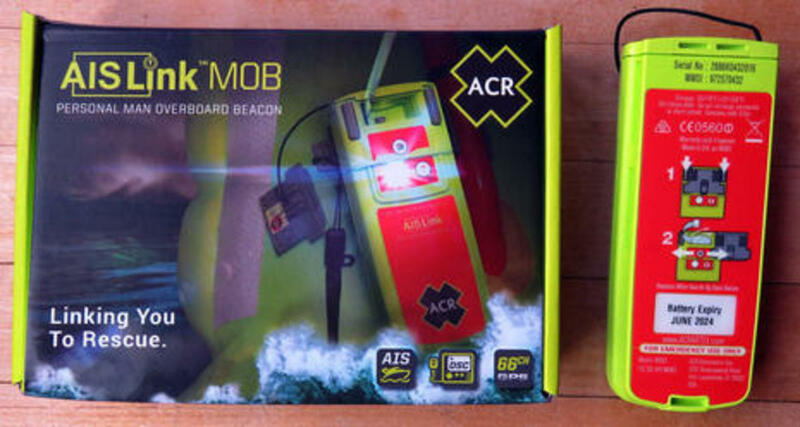 I&apos;ve tried other AIS MOB devices before, but this new ACR AISLink personal MOB beacon looks particularly well-made and designed, and it also has the added RescueMe style DSC VHF alarming I suspect to be very valuable. It already looks as though programming it with my boat&apos;s MMSI number is easier than I feared -- the process is wireless with even an app -- and I predict that the testing will shred the one CrewWatcher claim, "30x AIS" speed, I&apos;m already quite dubious about. 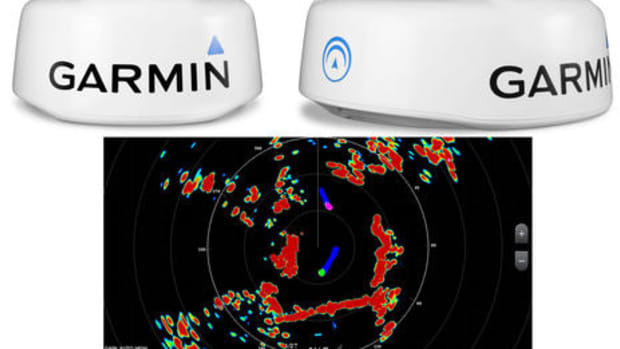 Plus, of course, MOB alarm speed has a different value when your beacon has a GPS and can transmit your position to your own vessel and others within a few miles.